Click on the link below for more information or to apply for the position. Daly’s Eastern Idaho visit is her first public speaking appearance since assuming her new role, garnering national attention and media. IDAHO FALLS, Idaho, Nov. 9, 2018 — Regional Economic Development for Eastern Idaho (REDI) is pleased to announce its hosting of Dr. Mary C. Daly, president and CEO of the Federal Reserve Bank of San Francisco, in her first public speaking engagement since assuming her new role. At an event held in Idaho Falls on Monday, Nov. 12, President Daly will address current and projected economic conditions in the context of the Federal Reserve’s dual mandate of maximum employment and stable prices as well as prospects for bolstering U.S. employment conditions over the longer term. Dr. Daly’s address is expected to receive nation-wide attention with national media outlets in attendance. The event is by invitation only. Dr. Daly is a widely respected expert on labor markets. Her published work on economic inequality, wage and unemployment dynamics as well as increasing output through workforce development is frequently cited by other prominent economists. She took office as president and CEO of the Federal Reserve Bank of San Francisco on Oct. 1, 2018, succeeding John C. Williams, who became president of the Federal Reserve Bank of New York this year. As president of the San Francisco Fed, she is a voting member of the Federal Open Market Committee, which decides monetary policy, including whether to raise or lower interest rates. 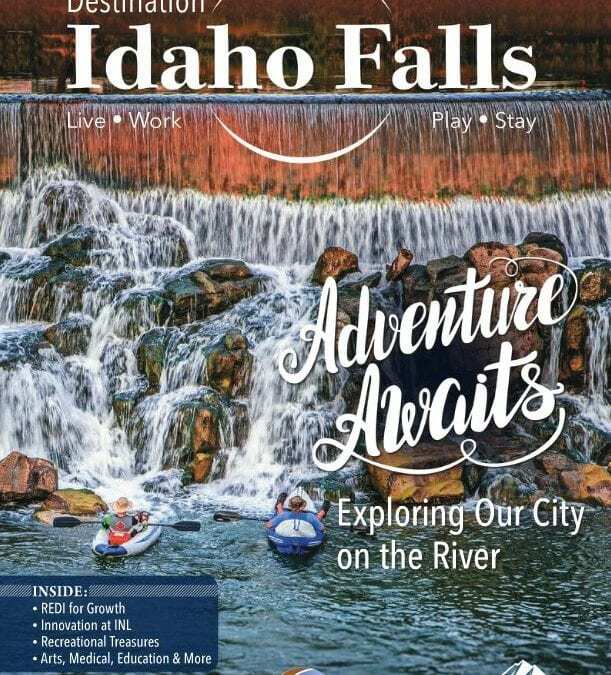 IDAHO FALLS, ID – May 9, 2018 – eCobalt’s mining operations in Salmon and proposed refining facility in Blackfoot, along with Regional Economic Development for Eastern Idaho (REDI), have received the Corporate Investment & Community Impact award from Trade & Industry Development, a leading national trade publication dedicated to site selectors. With hundreds of project submissions throughout North America, eCobalt and REDI were recognized for eCobalt’s investment in Eastern Idaho for cobalt mining and refining as one of only 15 finalists in the Impact Division of the Trade & Industry’s Annual CiCi Awards. 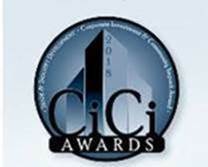 CiCi Awards’ Community Impact category recognizes projects that will make a big impact on their respective community and local economic development organizations that work in lockstep to attract this kind of development. The company, eCobalt Solutions Inc., doing business in the U.S. as Formation Capital Corp., released a feasibility study in September for the facility, coupled with a cobalt mine near Salmon. In December, the company simplified its plans. “It’s gone from a very complicated plant to a more simplistic refinery that just roasts the ore to drive off the arsenic and capture it in a stable form,” said Floyd Varley, chief operating officer. “We can ship that product, with the arsenic removed, anywhere in the world.” That also makes it cheaper to process the ore, he said. The Canadian company eCobalt is working on a mine and processing facility in eastern Idaho. The original feasibility study was for a $184 million project, $124 million of which was for the Blackfoot processing facility, which would be in full production by Q3 2020. The new plant will cost less but due to stock exchange regulations eCobalt won’t be able to reveal final numbers until later in the first half of this year. “We expect that to come in significantly lower than what we were looking at,” Varley said. Operating the facility was originally going to call for 65 jobs; with the new structure, that number will be lower. “The same skill sets, just fewer of them,” Varley said. Salaries should be comparable to those at Idaho National Laboratory and Premier Technology, in the $70,000 to $80,000 range, said Marc Carroll, the newly elected mayor of Blackfoot. “People are very excited about it,” Carroll said. The company is financing the project now and is working with a number of interested parties to either buy the ore, take a share of eCobalt, or both, Varley said. “When we have final numbers, we will decide what’s the best deal,” he said. For now, eCobalt isn’t going after any grants, but it is talking with Blackfoot about using community development block grants for infrastructure improvements. First, though, the company needs to determine how many jobs it will create, because the amount of money available is tied to that number of jobs, Varley said. Similarly, eCobalt is not looking at Idaho tax reimbursement incentives, but the company’s suppliers and service providers might, Varley said. For example, the facility will use recycled glass to stabilize arsenic removed from the ore. The region doesn’t recycle glass because there isn’t a use for it, but such a spinoff would justify keeping it out of landfills, Varley said. The company is talking to people in Salmon and Blackfoot about leveraging economic development resources to create a business to collect the glass, he said. The facility could be a real shot in the arm for Bingham County, where the average wage in 2016 was $33,607. “This will bring up wage averages and bring up family income,” said Hope Morrow, regional labor economist for the Department of Labor, in Idaho Falls. The facility could also create indirect jobs, like building housing for the workers. “eCobalt is going to have to do something to build up some living space so their workers don’t have to commute from Idaho Falls or Pocatello,” about a 30-minute drive during rush hour, she said. Mining jobs provide some of the highest paid industrial or service employment in Idaho. As of 2015, the most recent year for which figures are available, mining contributed $1.32 billion to Idaho’s gross state product, as well as $721.4 million to total compensation, 14,194 jobs, and $122.1 million in property, sales, excise, and personal and corporate income taxes, said Benjamin Davenport, executive vice president for the Idaho Mining Association, a Boise-based advocacy group for the mining industry. Mining jobs, including salary and benefits, average $104,061 per worker, he said. Mining in Idaho includes antimony, garnet, gold, lead, molybdenum, phosphates, pumice and silver, as well as cobalt. Cobalt is used in batteries, particularly for electric vehicles, with demand going up sharply since mid-2016. Idaho has the only deposit of cobalt in the U.S., and one of only two in North America, that’s available for mining. Idaho cobalt is well-known to geologists. “In terms of the U.S., we do have the only reserve of cobalt,” said Virginia Gillerman, associate research geologist and economic geologist for the Idaho Geological Survey, a state agency that is administered by the University of Idaho. The world’s largest deposit is in the Congo in Africa. There are other deposits in Ontario, Canada; Russia; and some in Minnesota that are not being mined, she said. Idaho’s cobalt deposit – possibly the largest and most known domestic resource – has its own name: the Idaho Cobalt Belt. Idaho’s cobalt deposits are smaller than those in Africa, Gillerman said. It takes lots of rock to get cobalt. The concentration in the Salmon mine area ranges from 0.5 percent to 1 percent, Gillerman said. “If a ton of rock is 2000 pounds, half a percent is 10 pounds,” she said.